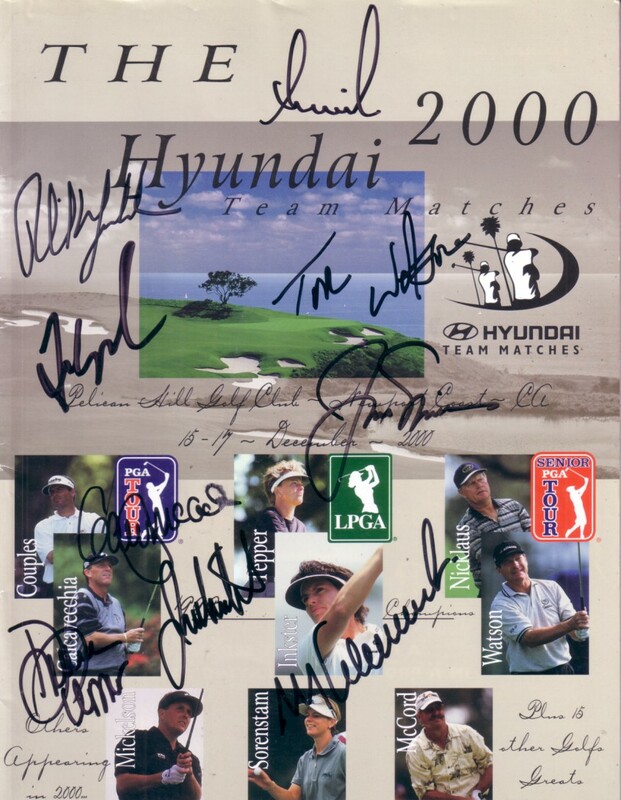 2000 Hyundai Team Matches (silly season golf) program autographed in black on the cover by all nine participants: Mark Calcavecchia, Fred Couples, Juli Inkster, Gary McCord (very minor smudge), Phil Mickelson, Jack Nicklaus, Dottie Pepper, Annika Sorenstam and Tom Watson. Program has very minor wear. 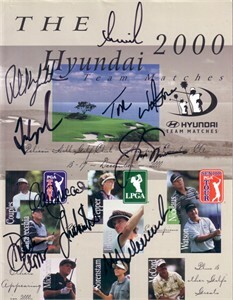 Obtained in person at the event. With certificate of authenticity from AutographsForSale.com. ONLY ONE AVAILABLE FOR SALE.